A heartbroken mum has shared a touching messaged to her toddler daughter who was tragically killed in the driveway of her Queensland home. 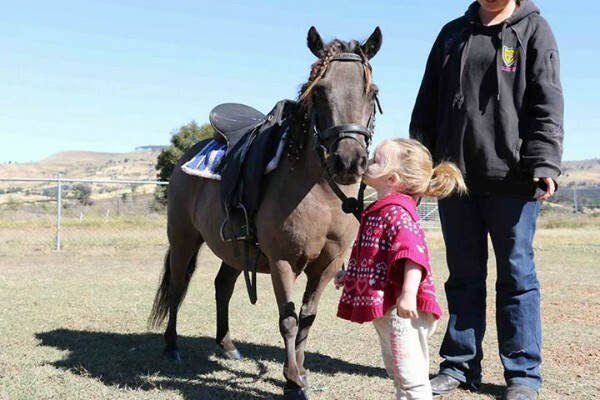 ‘My baby is in heaven tonight,’ wrote mum Nicole Bunston, describing her two-year-old daughter, Hope, who died after 51-year-old driver accidentally hit her with a car on the family’s property in Blenheim. Paramedics were called to the scene, but were unable to revive her. Police say no charges will be made in relation to the accident. The devastated family have started a fundraiser to help pay for Hope’s funeral. ‘She was the kindest little soul and was the most amazing little girl in the world,’ her Aunt Tamara wrote in the GoFundMe description.